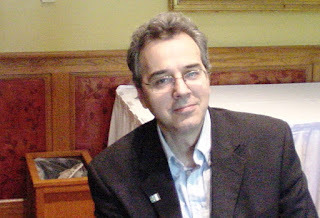 Rob McConnell, on his X-Zone Radio program on Thursday, July 21, interviewed Charles Stansburge, who is a MUFON State Section Director covering some fourteen counties in Texas. According to what Stansburge said, at that time, he had taken a photograph, or he had a photograph, that showed an alien creature and something described as a portal close to a mutilation site. He said that he was told by MUFON officials that he was not to share it with the public or the media. But this was not the end of the story, and within days, Stansburge was back, retracting the story. 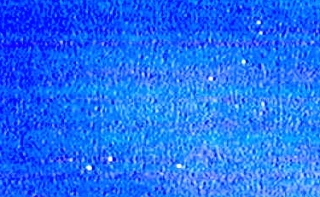 There had been no embargo on publication of the photograph, by MUFON or anyone else, at least according to what was being said now. Stansburge wanted to make that clear. At this point, all I had heard was that there had been a photograph of an alien taken at a mutilation site, and if this was true, then it was big news. McConnell asked me if I wanted to appear on his radio program and he was attempting to get Stansburge on the show as well so that we would have an opportunity to discuss all this. While it would be relatively late at night, I agreed and learned a couple of hours later that Stansburge would be on as well. McConnell allowed me to conduct much of the interview and there were many things that I didn’t understand. It seems that Stansburge learned of the mutilation of a sheep through an article in a Houston, Texas, newspaper and contacted the sheriff’s office to see if he might be of assistance. 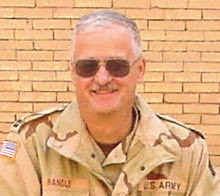 Stansburge is a retired police officer as well as a MUFON field investigator, and as mentioned, a State Section director. According to Stansburge, he was not involved in the original investigation, had not taken the photographs, but had been given a complete set of them. They were taken with a digital camera and the vast majority of them were of the mutilation. There was only a single photograph that, again according to Stansburge, showed a gray alien kneeling near a small copse of trees and there was some sort of distortion to the right of the creature, near a larger tree that Stansburge said was some kind of a portal, though he didn’t know where that portal might lead. A deputy took the photograph, as well as many others, and no one on the scene noticed an alien or the portal at the time. In fact, they hadn’t noticed any alien when they reviewed the photographs later. It was quite a distance from the lens and was back in the trees. Stansburge interviewed the deputies who had gone out, and I believe he also interviewed the rancher. 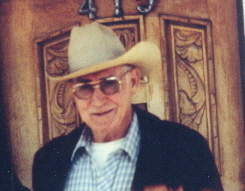 Stansburge said that the rancher had lost a number of sheep over the months. Some had completely disappeared and a few (I believe) had been found mutilated. When Stansburge finished his report, he submitted it, again I believe, to the Texas State Director and that it was eventually sent to MUFON headquarters. Interestingly, they all seemed to believe that the mutilation was damage inflicted by predators or scavengers and had nothing to do with aliens. It seemed that Stansburge was disappointed in those results, but that would suggest that aliens had nothing to do with the mutilation and made the mutilation irrelevant. So we returned to the picture. No one had noticed the alien until Stansburge saw it on the photograph. As far as I know, there has been no analysis of it so there is no report about that. All we have, at the moment, are our impressions from it. Now, before everyone gets all worked up, while the interview was going on, McConnell, who had a copy of the picture, sent it to me. I couldn’t find anything in it because it covered my computer screen, but as soon as Stansburge told me that everything of interest was at the top, I spotted the portal, and then to the left of that, near the copse of tress, I saw the alleged alien. 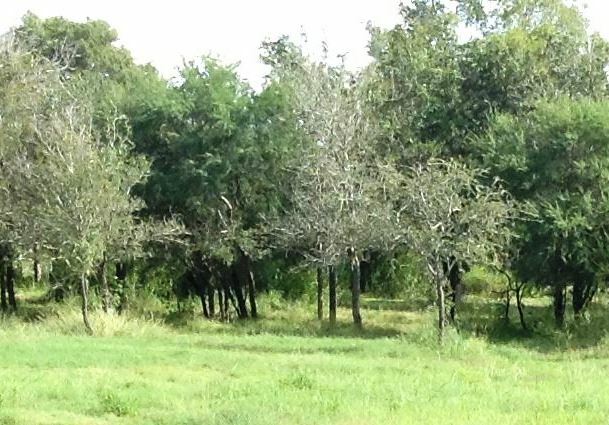 When you examined the following picture, remember I have cropped it so that the mutilated animal is no longer visible because it provides no information. I have only reproduced the small section of the photograph that shows the alleged alien and the portal. While it can be said that it certainly looks as if there is an alien kneeling in the grass, it is a very small image, at the far end of the picture, and is more likely an optical illusion. It is not a clear image. I believe the color of the alien matches the color of some of the wood on the trees near it where the bark has been rubbed off. suggesting optical illusion rather than alien creature. It just isn’t very clear and frankly could be about anything. Photo copyright by Charles Stansburge. Here’s my thinking on this, and I say this without having walked the site, is that the deputy who took the picture didn’t see any alien. The sheriff and others who examined the picture did not see any alien. It was only after some time that Stansburge spotted what he thought was the alien. The resolution of the picture is such that we can’t get a clearer image and the one that is there is open to various interpretations. The picture is not of sufficient resolution for us to use as evidence of alien visitation. It is an interesting anomaly, probably the result of the lighting, the distance, and the type of camera giving the impression of an alien. If I lived in that area, I would return to see if I could duplicate the picture and I would walk up to the trees to see what had actually been photographed which is probably still there… but at this time, I don’t believe this is a very important piece of evidence nor do I believe that it shows an alien creature. I want to thank Rob McConnell for allowing me to conduct the interview and Charles Stansburge for his patience under my questioning. Stansburge was quite the gentleman in all this. On April 24, 1964, Lonnie Zamora, a police officer in Socorro, New Mexico, spotted a landed object and two small humanoids standing near it. According to the Project Blue Book files, Zamora was chasing a speeder when he heard a loud roar and saw a flash of light in the southwestern sky. Fearing that a dynamite shed on the edge of town might have exploded; Zamora broke off the chase and headed in that direction. As he was driving slowly along the road, Zamora saw above a steep hill just ahead a funnel-shaped flame, bluish and sort of orange. The base of the flame was hidden behind the hill, there was no smoke connected with the flame. He had trouble getting the car to the top of the hill because of loose gravel; he had to try three times before he made it. As he reached the top of the hill, he saw a shiny object to the south, this side of the dynamite shack, about 150 to 200 yards away. It was off the road to the left in the arroyo, and at first glance it looked like a car turned over, but when he drove closer it appeared to be aluminum clay, not chrome, and oval-shaped like a football. Zamora drove about fifty feet along the hill crest, radioing back to the sheriff’s office, “10-44 (accident), I’ll be 10-6 (busy out of the car), checking a wreck down in the arroyo”. From this point, seated in the car, he could not see the object over the edge of the hill. As he stopped the car, he was still talking on the radio, and while he was getting out he dropped his mike. He picked it up and put it back and started down towards the object. Just then he heard a very loud roar, not exactly like a blast, but also not steady like a jet engine. It was of low frequency at first and then became higher. At the same time he saw a light blue flame, sort of orange at the bottom. Zamora believed the flame came from the underside of the object; he could see no smoke but he did see some dust in the vicinity. He panicked, thinking the object was going to blow up. The following is his report of what he experienced (with slight rearrangements for the sake of clarity) [parenthetical statement in original]. As soon as I saw flame and heard roar…ran away from object but did turn head towards object. Object was in shape [sic]. It was smooth—no windows or doors. As roar started, it was still on the ground. Noted red lettering of some type like______________________. Insignia was about two and one half inches high and about two inches wide, I guess. Was in the middle of object, like ______________. Object still like aluminum white. (Running), bumped leg on car back fender area. Car facing southwest…fell by can [sic] and (sun) glasses fell off, kept running to north, with car between me and object…rose to about level of car, about twenty to twenty-five feet, guess. Took I guess, about six seconds when object started to rise and I glanced back… it appeared about directly over the place where it rose from. I was still running… (then) about fifty feet from car. I ducked down, just over edge of hill…I stopped because I did not hear the roar. I was scared of the roar, and I had planned to continue running down the hill. I turned around toward the object and at the same time put my head toward ground, covering my face with my arms…when the roar stopped, heard a sharp tone whine and the whine lasted maybe a second. Then there was complete silence about the object. balloon”. I don’t know if he saw it. If Nep looked out his window, which faces north, he couldn’t see it. I did not tell him at the moment which window to look out of. the object had been, and I noted the brush was burning in several places.—I got my pen and drew a picture of the insignia on the object. Lonnie Zamora experienced an event which left quite an impression on him. He was a serious officer, a pillar of his church, and a man well versed in recognizing airborne vehicles in his area. He was puzzled by what he saw, and frankly, so am I [emphasis added]. And yet, I’ve always had some doubt about this case, even though it is the best documented case on record. In spite of the fact that I conducted the most thorough investigation that was humanly possible, the vehicle or stimulus that scared Zamora to the point of panic has never been found. investigation, had a flat tire midway between Albuquerque and Socorro. 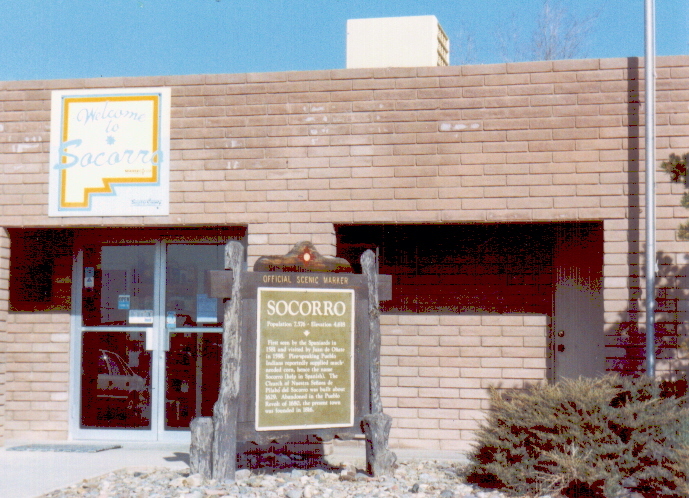 Socorro is located fifty-five miles south of Kirtland Air Force Base. In the meantime, Marilyn Beumer Stancombe, my secretary, and I began checking for some sort of positive activity. Radiation had been checked by Connor and Moody and the readings were negative. I checked the Holloman AFB Balloon Control Center for balloon activity. All local weather stations and Air Force bases in New Mexico were checked for release of weather balloons. Helicopter activity was checked throughout the state. Government and private aircraft were checked. The reconnaissance division in the Pentagon was checked. I checked with the immigration division hoping they might help. Finally, I was at my wits end, so I told Marilyn, “Get me the White House Command Post”. She looked at me with those beautiful blue eyes of hers like I was nuts. I said, “Yes, Marilyn, the White House Command Post”. I was determined to solve the case and come hell or high water I was going to find the vehicle or the stimulus. I decided that it was imperative for me to talk to the Base Commander at Holloman AFB. I wanted to interview the Base Commander at length about special activities from his base. I needed help to pull this off, so I called Lt. Col. Maston Jacks at SAFOI. I told him what I wanted to do and he asked, “Do you think it will do any good?” I replied, “God damned it Maston, if there is an answer to this case it has to be in some hanger at Holloman”. He went to work from his position at the Pentagon and the approval for my visit came through. Colonel Garman was the Base Commander during my visit. He was most cooperative and told me that I could go anywhere and visit any activity which interested me. I went from one end of the base to the other. I spent four days talking to everybody I could and spent almost a whole day with the down-range controllers at the White Sands Missile Range. I left Holloman dejected and convinced that the answer to Zamora’s experience did not originate and terminate at that base. It was now time for me to pass judgment on the case after a careful review of all the information at hand. I hate to use the word “judgment”, but that is exactly what it boils down to. As President Truman used to say, “The buck stops here”, and in the world of UFO’s my desk was the end of the line. 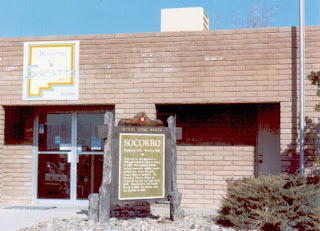 It was time for the Air Force to make a formal decision on the sighting of Socorro, New Mexico. I reviewed the Air Force Materials Laboratory Analysis of the soil samples which were gathered at the alleged landing area. Conclusion: no foreign residue. Laboratory analysis of the burned brush revealed no chemicals that could have been propellant residue. Radiation was normal for the alleged landing area and for the surrounding area. There was no unusual meteorological activity, no thunderstorms; the weather was windy, but clear. Although we made an extensive search for other witnesses, none could be located. There were no unidentified helicopters or aircraft in the area. Radar installations at Holloman AFB and at Albuquerque observed no unusual blips, but the down-range Holloman MTI (Moving Target Indicator) Radar, closest to Socorro, had been closed down for the day at 1600 hours. All the findings and conclusions were negative. The object was traveling at approximately 120 miles per hour when it disappeared over the mountains according to Zamora’s best estimate. I labeled the case “Unidentified” and the UFO buffs and hobby clubs had themselves a field day. According to them, here was proof that our beloved planet had been visited by an extraterrestrial vehicle. Although I labeled the case “Unidentified” I’ve never been satisfied with that classification. interesting anecdote with little value as evidence. There are, however, two other witnesses who have been named and have been interviewed by reporters and UFO investigators. According to an article published in the Dubuque Telegraph-Herald on Wednesday, April 29, 1964, Paul Kries, who was 24 and Larry Kratzer who was 26, had been in Socorro the previous Friday when the object took off. They had been traveling along the highway. Then they began to talk about things they couldn’t have seen, but might have heard on the news or read in the newspapers. Remember, they were talking some five days later, after there had been a great deal published and broadcast about the sighting including the CBS Evening News. Kries said that federal agents had cordoned the area and that government sources had denied they had anything like the observed craft near Socorro. Kries also said that there were four depressions, about twelve feet apart, left by the object. He also claimed that there was a large burned patch on the desert and that the exhaust had melted a pop bottle when it took off. Neither of these things is true. 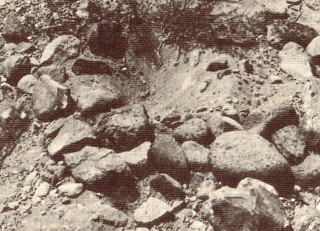 The descriptions offered by Kries and Kratzer, of what was found on the landing site seemed to imply that they had been there and seen it. They suggest the area was condoned, which could be suggested by the police officers and police cars parked around it. They talked about the landing traces left by the craft as it took off, implying they had seen that as well. However, there is no evidence that any civilians were on the scene that night. 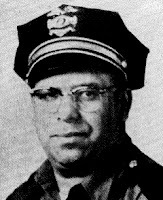 Almost all the testimony that was offered by Zamora, Sergeant Sam Chavez of the New Mexico State Police, FBI agent Bynes and Army Captain Richard Holder and some later filtered through Col. Eric Jonckheere seemed to suggest no civilians there, though it is possible that some of the military men might have been in civilian clothes. The descriptions given by those who were there is based on the documentation available in the Blue Book files differs from what Kries and Kratzer said. Their description of the landing marks were nothing that new. It could have been picked up by anyone who had watched the story unfold for the last couple of days and they didn’t say anything until a week or so have passed. There had been plenty of stories about what was seen on the alleged landing site. While it would be nice to have additional witnesses to the case, and these two men claim to have been on the scene, there are many problems with them. Had they left it with having seen something in the sky, as they drove by, it would be one thing, but it seems they were suggesting they were at the landing site. It might be the way the story was written, or it might have been they incorporated the additional information they read in the various newspaper accounts without thought about ramifications. They might just have been trying to give the reporter the impression of something other worldly, but it is clear from the evidence found in the Blue Book files that neither of these men had walked the field. This then is what I think of as a fairly neutral representation of what happened in Socorro because I draw heavily on the obviously biased account presented in both the Blue Book files and that written by Quintanilla himself. Had he had any solution to provide, no matter how off the wall, he would have provided it. I have also attempted to append the various comments made to the Best UFO Cases posting that sort started this latest discussion. To do that I have had to copy them all and repost them which, unfortunately, puts them under my name… I will attempt to get the name of the author of the posts placed with them but if I fail, please don’t accuse me of plagiarism even though that is a hot topic at the moment. Got a telephone call the other morning from a guy who had seen a UFO, or rather multiple UFOs, but had not reported them because he feared for his job. He was sure that if he reported them, his superiors would deem him unworthy of his position, or more to the point, think that he was crazy because, as we all know, only crazy people, or drunks, see UFOs. I suggested that very few people had ever lost a job because they had reported UFOs. True, I know the stories of Air Force pilots who reported UFOs and had been taken off flight status. I knew of one case where an Air Force Reserve officer had not only reported a landed UFO but also having seen a member of the flight crew, that is an alien, and while he didn’t lose his reserve position because of it, the Air Force worked very hard to smear him. The Air Force theory was that all this was a plot for him to get noticed by Hollywood and a job as a writer of either movies or television shows. I don’t know of anyone who reported a UFO and was then offered a job as a writer… Keyhoe doesn’t count because he wasn’t reporting UFOs, he was reporting on them (and I don’t think he ever wrote a Hollywood screenplay). Anyway, as I thought about that and my own experience, I wondered about this losing a job. When I first entered the Air Force, I held a secret clearance as do all officers and most NCOs. But when I moved to an intelligence job, that required a top secret clearance. Although the Air Force was aware of my UFO writings, and my criticism of the Air Force for hiding information and covering up the facts, I was granted the clearance. 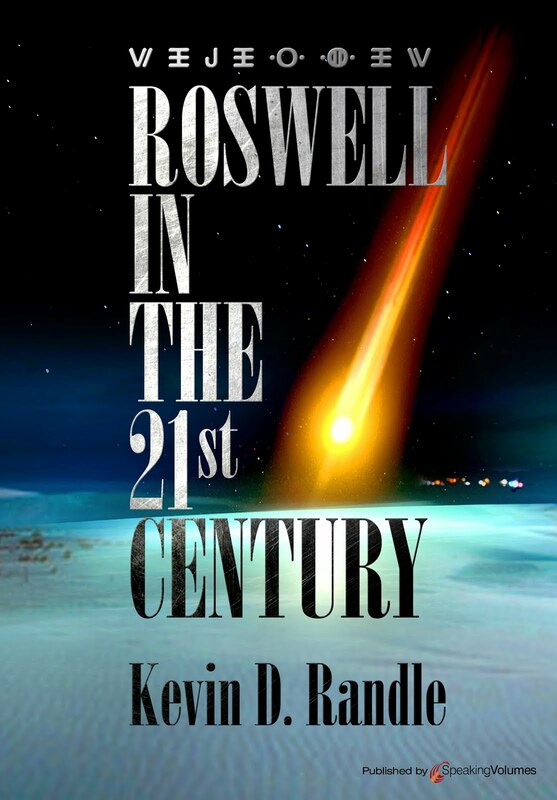 It was renewed each time it was required, though I had continued writing about UFOs and had been less than enthusiastic about the Air Force investigations and the Condon Committee conclusions. I left the active reserve in 1985 but after 9/11 joined the National Guard. I was again appointed as an intelligence officer which required a new background investigation. By that time, I had not only written dozens of magazine articles, often critical of the Air Force, not to mention many books with the same idea. 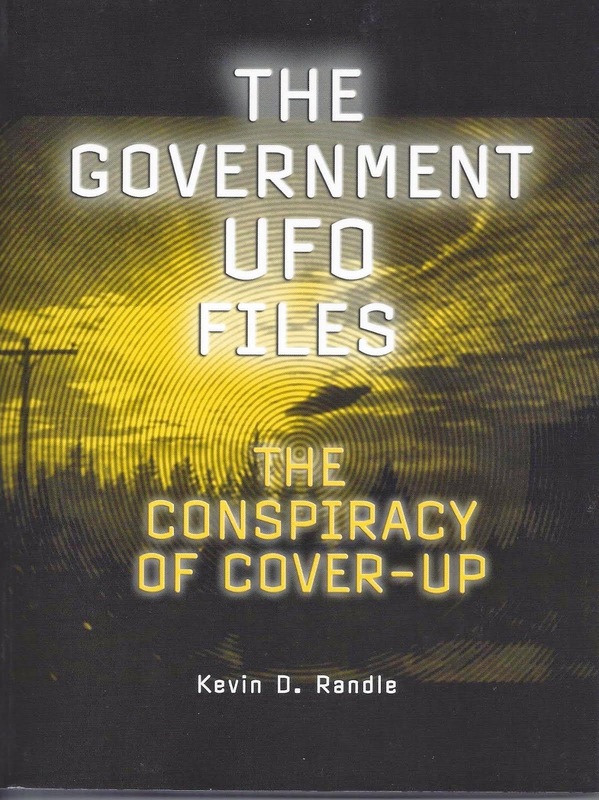 I suggested the investigation of UFOs had been less than competent, often bungled by those who lacked training or just didn’t care and frequently smacked of cover up. For evidence there are hundreds of examples, and while it can be suggested that most of the trouble is a systemic belief that there is no alien visitation and therefore anything showing otherwise must be flawed, it can also be argued that these problems are the result of poor attitude. Evidence to the contrary of the idea of alien visitation was overlooked, denied, buried or just lost. But that’s not the point here. It is that my writings, appearances on national television and radio saying the same things, seemed to make no difference in granting of my security clearances. In other words, my belief that we might have been visited by alien creatures didn’t affect the granting of the security clearances. I have always thought that my relatively high profile in the UFO community would make me a target for some sort of repercussions but it didn’t. The only adverse thing said to me was that while serving with the National Guard and especially on active duty that maybe I shouldn’t include my rank on those books and articles… which applied to writings outside the military arena. I could use my rank on stories submitted about our experiences in Iraq which was allowed by regulation. If I was writing about UFOs, while it wasn’t strictly prohibited, I did avoid using my military rank. Once I retired, well, that was a different story. The point of all this is that while the fellow I talked to believed that he would risk his job by telling his UFO experiences, I doubt that. Most of the time these things aren’t noticed. Sure there are other examples in which people have lost jobs, but is usually an outgrowth of publicity or their fellows harassing then about their experiences rather than some sort of suppression of UFO information. The names of several police officers spring to mind here but it doesn’t seem to be a conspiracy against them so much as just a harassment of them by their friends who don’t believe the story. Those are unusual circumstances. Most people tell their UFO experiences without serious repercussions, and I experienced none, even when vetted for a top secret clearance. But then, I suppose, I could say that was my experience and isn’t necessarily yours. Still, there isn’t any real evidence that some sort of systematic suppression of those who claim to have seen UFOs… in today’s world, I just don’t think anyone really cares about who has seen or not seen a UFO. For decades I have avoided answering the questions about what I believe to be the ten best UFO cases. I understood it to be a trap. Once I provide the answer, the debunkers would attack, explaining why those cases are nothing spectacular. There would find mundane answers for all of them, even if they have to make up the answers, which is not an unreasonable assumption. I have discussed the Coyne helicopter case in the past. While some of you might disagree with some of the evidence of the case and point out that it is mainly the testimony of the flight crew, the fact is they were interviewed within hours of the event which provides us with a very good record of what they experienced. As you might remember, Phil Klass explained the sighting as a meteor with no evidence to support that explanation. True, it might not have been an alien spacecraft, but Klass’ answer was pure fiction. This is the thing that worried me. People will remember this cockamamie explanation not realizing that it is bogus. The claim of an answer lives even when it makes no sense given the facts. But this is about the cases I believe have not been explained. These are the ones that should have been investigated in depth at the time. Had that happened, we might have learned something important. Had that happened, we might be having a completely different discussion. As you will see, this is not a numbered list or a top ten list. It is a list of those cases I find interesting. In July 1952, on two consecutive weekends, UFOs were seen over Washington, D.C., reported by airline pilots, people on the ground and seen on radar. There were multiple attempts by Air Force fighters to intercept the objects. The Air Force pointed out there was a temperature inversion over Washington on those days which caused the radar returns and that some of the sightings were caused by the same natural phenomenon. The explanations don’t fit all the observations, but the press had an answer that made them happy. The Blue Book files on these cases are rather confusing which might have been the whole point. Photo copyright by the Cedar Rapids Gaxette. In November 1957, witnesses in at least thirteen separate locations in and around Levelland, Texas, reported a glowing object close to the ground, that stopped their car engines, dimmed their headlines and filled their radios with static. Many of them called the sheriff’s office or the local police to report the sighting unaware that others had seen the same thing and had reported the same thing. Sheriff Weir Clem (yeah, I wish he had a name like Jack O’Neill or something with a little more pizzazz) saw the object when he went out in search of it (he said publicly, he saw it in the distance, but it seems he might have gotten much closer) as did other law enforcement officials. The Air Force and NICAP’s Donald Keyhoe got into public arguments over the number of witnesses while no one actually made the attempt to interview them (no I don’t really count the afternoon that one Air Force NCO spent in Levelland talking to a few of the people and who proposed an explanation that did not fit the facts). Looking down on the White Sands Missile Range. Photo copyright by Kevin Randle. 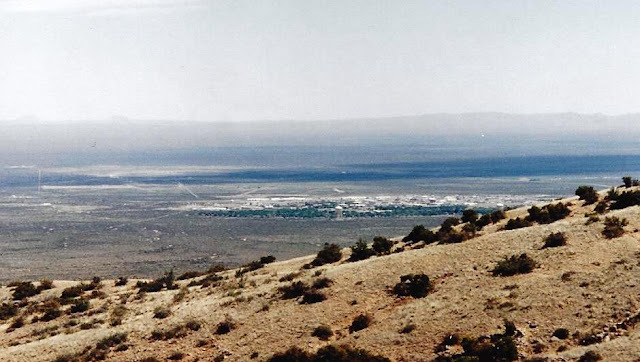 Within hours of the Levelland sightings and before the news media was reporting on them, MPs at White Sands Missile Range reported an object that landed near them. Twelve hours later a second team made a similar sighting. The Air Force interviewed three of the four MPs, mentioning that they were all very young, 20, 21 years old as if this disqualified them as observers. The Air Force explained the sightings as the moon and Venus. (As an aside, I remember being an aircraft commander and flight lead in Vietnam at 19 but you just can’t trust those teenagers and young men with anything important). I would include the Lonnie Zamora case but it is single witness with some landing traces. I do know that Phil Klass suggested that this was a hoax concocted by the mayor of Socorro, New Mexico, and Zamora to create some sort of tourist attraction on land owned by the mayor, except the mayor didn’t own the land and no tourist attraction was ever build. For me this case is somewhat problematic, though there are some very interesting aspects to it. I also like the sightings around Belt, Montana, in March 1967. At the time these were going on, there was a shutdown of a Minuteman missile site nearby that the Air Force went out of its way to say it had nothing to do with the UFOs. What is important here is that Lieutenant Colonel Lewis Chase (he of RB-47 fame in 1957), the base UFO officer, when asked about some of this told the University of Colorado (Condon) investigator that he couldn’t discuss it because of national security… and yes, if a flight of missiles had been rendered inoperable by an outside force, whatever that force might have been, that was a matter of national security. The UFO sightings might have been a coincidence… but what if they weren’t? One of the most documented UFO sightings took place in October 1967, while the Condon Committee was allegedly investigating UFO sightings. There were multiple witnesses to something falling into Shag Harbour in Canada. Although the initial reports came from a group of teenagers, eventually law enforcement and the military were involved in attempts to recovered whatever it had been… but the Condon Committee members, after a telephone call or two, decided the sighting was not worthy of additional investigation. The series of sightings in Rendlesham Forest in December 1980 are also interesting. The sightings were multiple witness, were reported officially, and there was physical evidence of the landings. Debunkers have explained the case, but I don’t find their explanations particularly persuasive. I have met both Jim Penniston and John Burroughs and I find them to be solid witnesses. I have also met Larry Warren who first leaked the case. The JAL 1628 case is important because there are complete radar records of the flight. The FAA investigated and the chief investigator John Callahan has those files. He said it was the only case he knew of where there were thirty minutes of radar data with voice recordings so you could watch and listen to the case in real time. Callahan said that he briefed people at the White House about the case. 99% of them were taken by teenagers and 99% of those were faked. But there are two movies, one made in Great Falls, Montana in 1950 and the other near Tremonton, Utah in 1952 that are very interesting. There is also evidence that the Air Force tampered with the Montana Movie, removing a portion of it that showed the objects as disk shaped. Allegations were made that they had done the same with the Tremonton Movie, but the evidence argues against it. Frame of the Tremonton Films, and no I don't believe sea gulls answers the question. Yes, the list is incomplete and involves cases that I investigated, talked to the witnesses, been to the locations and the like. I do not believe that adequate explanations have been offered. I believe that some of the evidence has been twisted to force it into an explanation because like nature abhorring a vacuum, the Air Force and debunkers abhor an unexplained UFO sighting… But sometimes there just isn’t a good solution which is not to say that one won’t appear someday or that any of them proves alien visitation, only we don’t have a good explanation… and some of them suggest that had a proper investigation been conducted at the time, we might be having a different discussion. Dan Cooper then and Dan Cooper now. Spoilers Ahead, if anyone actually cares. The show followed a group of old guys, which means they were basically retired, as they reopened the case. There were investigative journalists, a retired FBI guy, someone who knew how to access the military records in St. Louis, and a couple of others thrown in for good measure whose role I don’t remember and don’t care about. I will confess here that after I discovered they were going to drag this out for four hours, less commercials (and other ancillary nonsense that cut the programming down to just under three hours) I was tempted to give up. I had noticed the question mark in the title, but I thought just this once we were going to get an answer. Boeing 727 with rear ramp down. interesting discussions about the skill set necessary to pull this off in 1971 before anyone had actually done it. 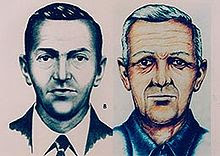 They did settle on a suspect, one who had been questioned by the FBI back in 1971, who apparently looked something like the composite sketch made at the time. The expert in military records retrieved said records from St. Louis. I picked up on two points. First he had apparently gone through the Warrant Officer Flight Program and successfully competed it. He served a tour in Vietnam as a helicopter pilot and received two Distinguished Flying Crosses (DFC). The man who checked the record was impressed with this because he said something about never having seen that before. I seemed to remember someone having received the award something like seven times, so I googled this. I saw a citation for Bryan Compton, Jr. who was awarded a Silver Star in lieu of the sixth award of the DFC. I could go on but that pretty well shot down this idea that having been awarded two was something so rare and strange… The Air Force, during Vietnam, handed them out after so many missions (all we in the Army ever got was another Air Medal). These guys did go talk to the FBI agent currently in charge of the case, presented their evidence naming this guy, but the FBI wasn’t overly impressed. They also talked to one of the flight attendants, Tina Mucklow and the co-pilot, William Rataczak who apparently haven’t talked to anyone about this in decades. There was a big build up to this and these old guys listened as the flight attendant and the co-pilot talked about what they remembered after 45 years, showed them the picture of the man they thought might be Cooper, played a videotape, and the flight attendant, who had spent some four or five hours close Cooper before he bailed, said she didn’t think their guy was Cooper. Then we learn the FBI is busy packing up all the evidence, interviews and records to ship from their office in Seattle to Washington, D.C. because they have basically closed the case. They don’t believe that it will be solved after all this time. If I understood it correctly, it is sort of a still active case in the sense that it wasn’t solved, but there will be no more resources expended on it unless some startling new evidence is found… which seems unlikely. One other thing, apparently none of the money was ever found, except for something like five grand found twenty miles from the flight path. A few thought the money was planted there sometime after the fact to throw off the search… the rest has never seen the light of day because the FBI has all the serial numbers. And no remains of Cooper, or his parachute or any other tangible evidence has been found and while the area is remote, it’s not like it’s at the head waters of the Amazon or in the middle of Africa. Had Cooper failed which means had he cratered (died in the attempt) they believe something would have been found by now. So, I was sucked into another of these programs that is going to offer a solution to a mystery and then doesn’t deliver on that promise. They just follow some guys around, listen to them talk about their theories and in the end we really don’t know more than we knew before the show began. It’s almost enough to make me block History on my cable box so that I don’t inadvertently get dragged into wasting more time watching people not solve anything… almost. PS: If I have managed to get some of you to talk about Dan Cooper instead of D.B. Cooper, then it might have been worth it… though ABC News on July 12 referred to him as D.B. Cooper… makes you wonder about the quality of their other “news.” And, yes, I saw CNN’s story on the FBI closing the case on D.B. Cooper, but I haven’t worried about the quality of their news for a long time. PS Squared: This was sort of inspired by a note at Rich Reynolds’ UFO Conjectures found here: http://ufocon.blogspot.com/ which referenced a commentary at Nick Redfern’s Mysterious Universe discussing UFO obsessions which is found here: http://mysteriousuniverse.org/2016/07/ufos-dont-let-them-rule-your-life/. This is another of those posts that chases footnotes and though it begins with Richard Dolan, he is merely the starting point and this isn’t a criticism of his scholarship… well, maybe a little bit but you’ll understand as we get deeper into this. As an aside, and one that is not directed at Dolan here, I wonder how it is that some lies seem to mean nothing in our world of the UFO and simple mistakes are presented as false claims, and yes, this should become clear later as well. I have nothing to object to here. The information provided, is what Dugger told Don Schmitt and me when we interviewed her. It is the footnote that is somewhat annoying. The footnote takes us to Stan Friedman and Don Berliner’s Crash at Corona. There they tell us that I interviewed Miss Barbara Dugger in early 1991. The question is, shouldn’t Dolan have acknowledged the original source of the information, which clearly he knew because that information is in his source. And isn’t the original source, that is the interview that Don and I conducted, a better source than one that quotes me rather than us. Or, in other words, shouldn’t Dolan have referred to our original work rather than the intermediate report of Friedman and Berliner that used us. Okay, that’s not really egregious. He did provide the information that takes you, eventually, to the original source. And, as we delve into this, we’ll find that Dolan quoted one of the sources he had, though a little research would have revealed the original source which is a better source than those repeating information. Dolan describes what Bill Brazel had said, which as you all know was a description of some of the debris he picked up, that his father had been held in Roswell for a number of days and then soldiers had shown up a few days after he had talked about finding the debris while in Corona. Dolan’s account, though short, is fairly accurate. He does misspell Mack Brazel’s name as Mac, but we all did that until Tom Carey learned that it had a “K” at the end. The footnote takes us to Friedman and Berliner again. Bill Brazel. Photo copyright by Kevin Randle. Here's where the problem develops. They wrote, “According to his son, Bill Jr., Mac never felt like he had done anything special.” They then quote from an interview with Bill in some detail. The problem is that neither Friedman nor Berliner were at that interview. It was conducted by Don Schmitt and me on February 19, 1989, in Carrizozo, New Mexico and was recorded on audiotape. The quotes appear in our book, UFO Crash at Roswell and there is no credit nor attribution for the information given by Friedman and Berliner. Dolan would have no way of learning the original source of the interview so the trail ends there… unless, of course, he had access to our book, which is cited in the footnotes in that same section and is mentioned in his bibliography. And to make it worse, if possible, Friedman alters a portion of the quote for no reason other than to make it fit with his brief structure and to help prop up the failing Gerald Anderson tale. Friedman, quoting us, quoting Brazel, wrote, “I’m almost positive that the officer in charge, his name was Armstrong, a real nice guy. Stan Friedman Photo copyright Kevin Randle. The trouble is, Brazel never said the sergeant was black, and the tape of the interview proves that he never said it. Later Friedman would claim that Brazel had used a racially charged word to describe the sergeant as a way of alibiing his change to our interview. Once again, I have the original tape and Brazel said nothing like that. That’s a neat piece of writing that implies they were there for the interview without saying anything of the kind. What they don’t say is that Don and I interviewed, on videotape, Robert Smith and neither of them were there. The quotes come from our work with neither credit nor attribution. What happened here, as evidenced by the footnotes provided by Dolan, and by reading the information in the Friedman and Berliner book, was that they actually lifted the research conducted by Don and me and published it as their own without reference to us. In the wording of the statements… “According to his son, Bill Jr., Mac never felt like he had done anything special,” and “In a 1991 interview, he [Robert Smith] described his involvement,” they have not acknowledged the source of the information, or to use Friedman’s words to the AVON editor, they were “lifting my research …” Ironic isn’t it? 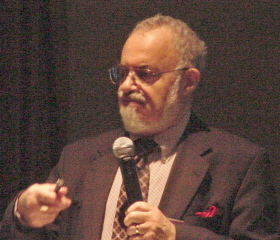 Friedman also talked of “flights of fancy,” which is a way of saying inventing imaginative fictitious scenarios, like suggesting the sergeant who visited Brazel was black for no other reason to make it fit in with the Glenn Dennis nonsense and to prop up Gerald Anderson by suggesting corroboration where none existed. I was going to continue in this vein because there are many examples of these sorts of attacks on me. I know that while I was serving in Iraq, there were those inside the UFO community who questioned whether or not I was really there. Unlike some who have claimed extensive military service, I can actually prove what I say. The point here is just that periodically I grow tired of the attacks because I happen to disagree with some of the nonsense being sprouted in the UFO community. The attacks are personal rather than an attempt to refute the evidence and when all else fails, just label me a debunker because we don’t have to deal with the truth of the statements. And I sometimes wonder why, when we have shown that certain points of view are wrong, horribly wrong and laughably wrong, it seems to make no difference as long as that person has a message that people want to hear. It makes no difference if the message is filled with poor research, bad evidence, leaps of logic that are not justified by the information or who are caught in outright lies, people just ignore that, as long as the message fits into their belief structure. I had always thought that people wanted the truth, but obviously it is only their “truth” they wish to hear and that is why we still have people telling us the alien autopsy is real and some believe MJ-12 authentic. It would seem to me that when the evidence is stacked up, that should end the discussion but in the world of the UFO that never happens. So, I chased a few footnotes here, saw that Richard Dolan hadn’t done the best job of sourcing his material (and sometimes it simply wasn’t possible for him to do that given the sources he used) and that sometimes the information was correct but those claiming to have done the research had “borrowed” it instead. I think we all now have a different perspective of some of this research and rather than respond to the issues raised here, I’ll bet we’ll all have to hear about my “day job” as a science fiction writer as if that somehow negates the points I’ve made. I just wish the UFO community would hold everyone to the same standards rather than personally attacking those who might have a different perspective.